Our gardens try to model a style of agriculture in harmony with the land, one that is sustainable for the environment and sustaining for the humans involved. We donate 60-65% of the harvest to local food pantries and other groups feeding those in need. 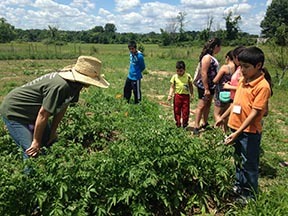 Over the past nine years, Shepherd’s Corner has donated over 23,920 pounds of naturally grown vegetables. Gardens provide chemical-free, naturally grown vegetables as donations to food pantries and for sale at our market when available. Hay fields produce hay and fodder for our animals and provide nesting bird habitat. Volunteers assist with all aspects of the gardens: working in the greenhouse, transplanting, direct seeding, cultivation, and harvesting. Education and care for the earth is at the core of all we do. 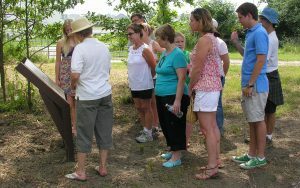 We offer seasonal programs: nature and labyrinth walks, fiber arts, discussion groups, retreat days, and gardening workshops. Which can be found on our calendar. We offer educational programs primarily for elementary age students, which focus on farm life, nature, water and wetlands, and spirituality. A listing of programs is available. Contact us if your group would like to schedule a time to walk the labyrinth. 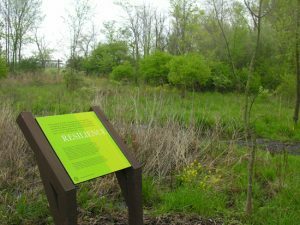 As of September 1st, trails are open to the public Wednesdays, Thursdays, & Fridays, 10 am to 4 pm, from April through November. We do ask that you call before you come to ensure that we are open to the public. Days we are open to the public, and any days that we are not, can be found on our program calendar.